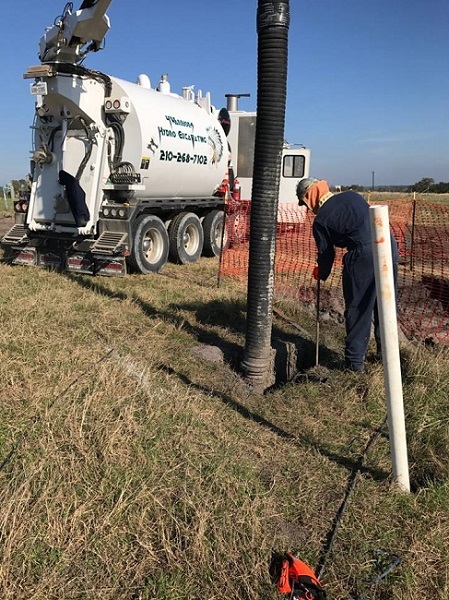 Being a family based business, and founded on the roots of Christianity, 4 Warriors Hydro Excavation is impacting the industry through the blessings of the best operators, technicians, and top of the line equipment, and we humbly accept being the most reliable, safest, and cost efficient hydro excavation service that the industry has to offer. 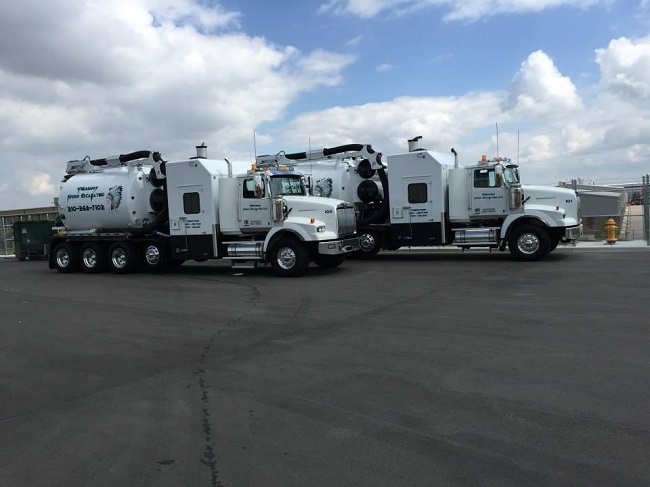 With extensive experience in hydro excavation, 4 Warriors strives to exceed our client’s expectations each and every day. We know how important time is, and we value yours, in the most cost-efficient way possible. Continuous diligence in our training shows the desire for advancement in safety precautions, solely for the level of care we have for you and your business. At 4 Warriors we strive to build a bridge of excellence from our business to yours, not only to impact the industry, but also the lives of those we meet along the way. Our heartfelt tried and true concern for the people we meet is the effervescent light behind who we are. Excavation Services are often required of many businesses, for many typical, and non-typical reasons. 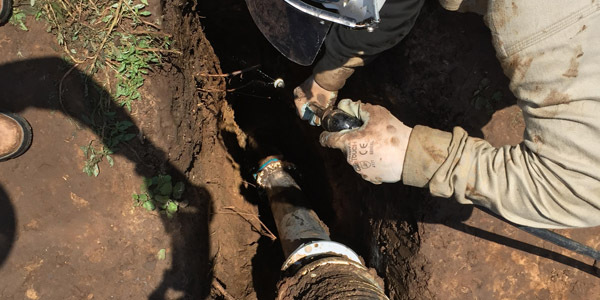 Whether it’s for Day Lighting, Pot-holing, or Trenching, 4 Warriors Hydro Excavating is fully equipped, fully trained, and fully dedicated to the bettering your business and its productivity. Please contact us, and allow 4 Warriors to battle all your reliable and safe Hydro Excavation needs! Digging to find underground utilities can be tricky, so it’s important to know exactly what you are doing. The whole process of potholing involves finding these underground utilities safely to determine their location. By using the wrong method, it could be disastrous for the workers, utilities, and the surrounding facilities. Using a method that is safe, but still efficient is the preferred method in this fragile environment. Causing the electrical system to go out at a hospital can be devastating, but could happen if certain procedures are not followed. Potholing is used to excavate 12″ holes for the location of underground utilities which verifies the location, type, and depth. The methods for performing this important procedure include; digging by hand, the use of a backhoe and vacuum excavating. Digging by hand requires manpower and is safe, but the time required to perform this method can be time-consuming. Hand tools used in this process are a minimal risk for damage to the utility. The backhoe was the most popular method but can cause damage to the utility. This is a risky method that should be avoided. Vacuum excavation is now the most popular method for minimizing damage to these underground utilities. The use of high-pressure air breaks up the dirt and rock, which is then vacuumed into a container on a work truck. This container holds the dirt until it is ready for backfilling. 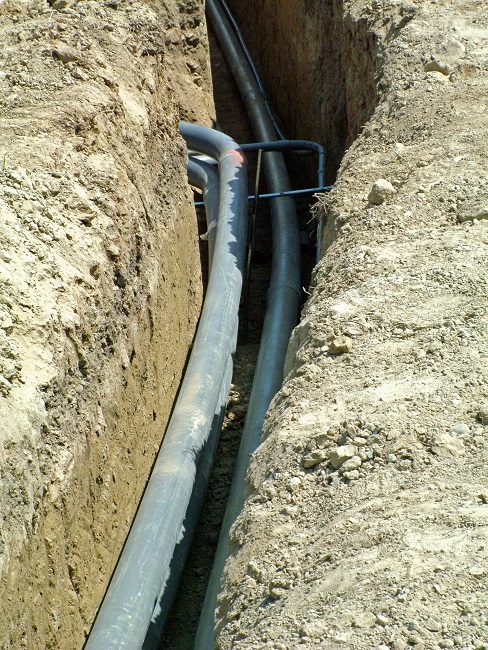 Hydro Excavation is superior for finding the location of underground utilities. This procedure uses water to break up the soil instead of air pressure. This makes it the best method for Potholing for many reasons. 4 Warriors Hydro Excavating has extensive training for all types of industries, contact us. Before the recent holiday season, the City of El Paso closed off a major street for a little under a week for pre-construction activities. 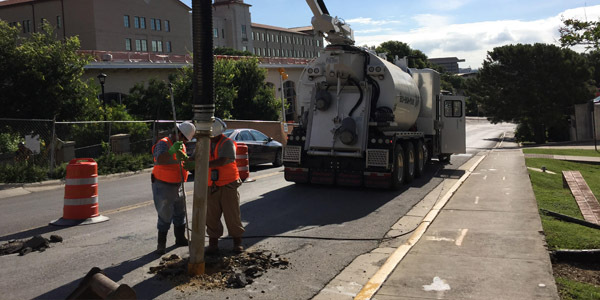 The city’s Streetcar Project called for the utility company to relocate utility services. First, the utility company had to make sure they knew where those utilities were located. 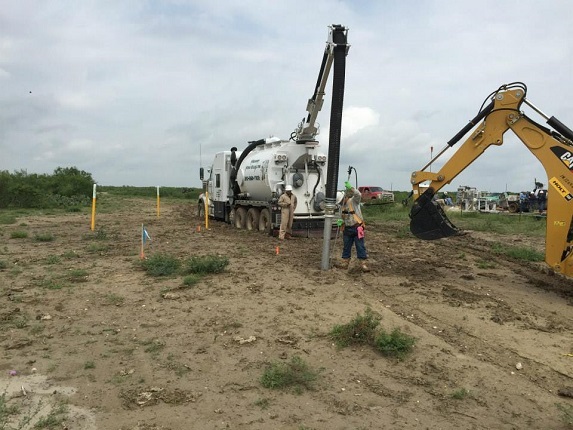 This tedious process is expedited through the use of hydro vacuum and excavation equipment. How does this work? The surface layer is removed with help from a jackhammer. Soil, gravel and fill are pushed free and made loose by focused water sprays. The spray, gravel, soil and fill are immediately excavated with vacuum power, leaving little disruption to surrounding areas. Exposed pipes are mapped with highly accurate GPS systems. Since the gravel, soil and spray were vacuumed into a sealed container, it is available to readily backfill the pothole. The hole is refilled and patched. 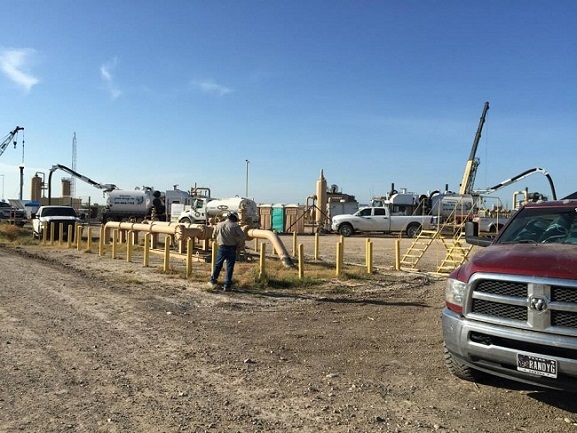 The entire process is an efficient, economical way to prep an area for construction. With little to no damage of surrounding areas, minimal ground disruption and accurate mapping there is no need to go back and repair the area. For high-traffic or congested areas, minimal disruption translates to happier clients, commuters and others who use the area. For major projects, the quicker and more accurate the prep work the less likely the project will falter at later stages. It may be a tedious step but potholing correctly the first time around is a very important step in the process. 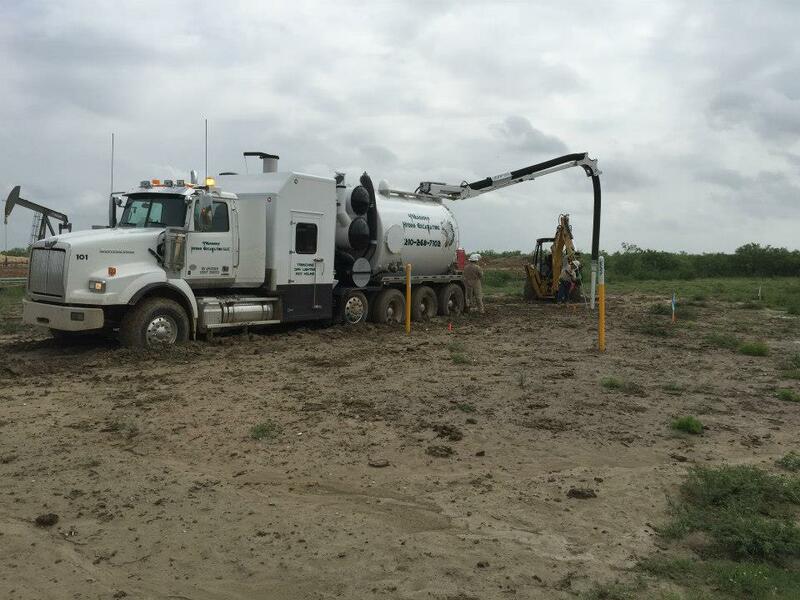 If you still find the idea of drilling into perfectly good surfaces simply to get a better idea of underground utility locations a frustrating step in the construction process then you should consider hydroexcavation potholing techniques. For more information about efficient geo-location and smooth potholing for your upcoming construction project, please contact us.